This simple statistical game has been made to permit a speed recreation (less than hour) of dozens of waterpolo tournaments, men and women, from Olympics to World Championships. 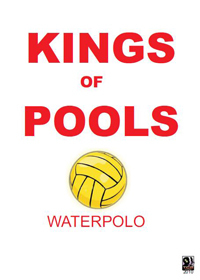 Using a derivation of our World Cup Soccer, Kings of Pools consents you to replay an entire tournament in less than an hour, sometimes less than half an hour, maintaining the statistical accuracy and the pathos of a real waterpolo tournament. David Twichell 7 7 7 Converting letter columns to numbers speeds play. It's time to add more recent tournaments.